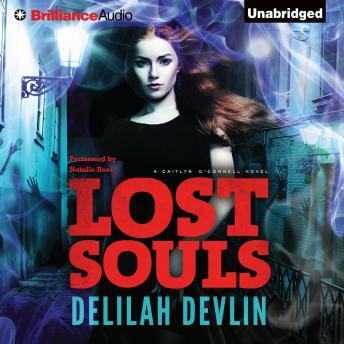 Fan favorite Delilah Devlin delivers her second paranormal romantic thriller featuring unforgettable heroine, Caitlyn O'Connell. This time, the psychic PI joins her police detective ex-husband to find a demon pulling women into the past to commit their murders in a seedy Memphis hotel. Private Investigator Caitlyn O'Connell is tapped by Memphis PD to discover who has been using a Memphis hotel as his killing ground. Women are going missing, and their bodies are found inside the walls of the hotel. But the bodies themselves? They appear to have been murdered in the distant past. With ghosthunters and cops crawling all over the crime scene, Cait and her detective ex-husband Sam Pierce race to find the demon responsible before he kills again.